Rare - Ames Eagle Head - Louisiana State Seal. Rare - Ames Eagle Head - Louisiana State Seal. 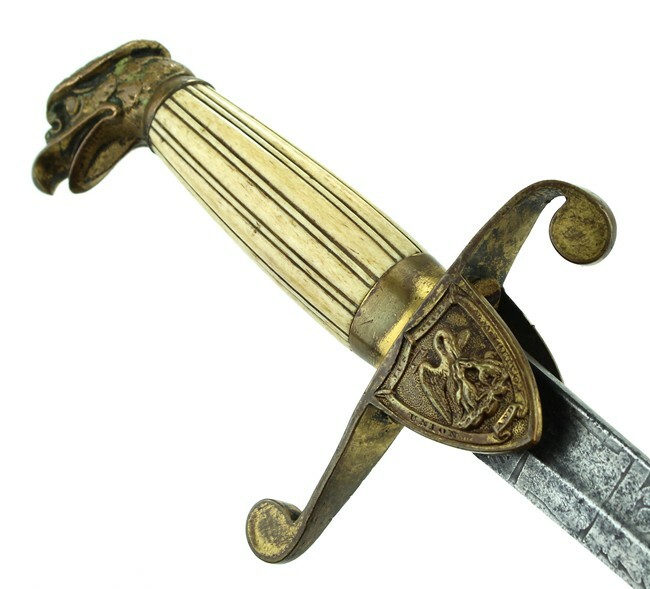 great early sword. 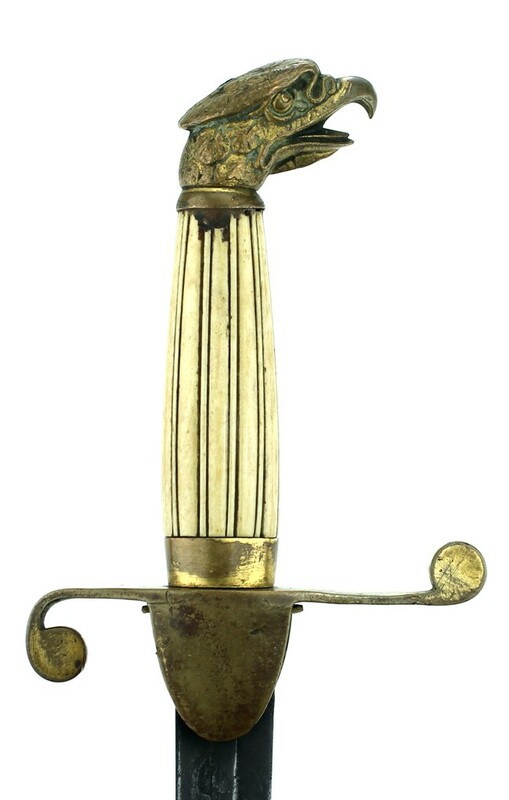 Brass Eagle Head. 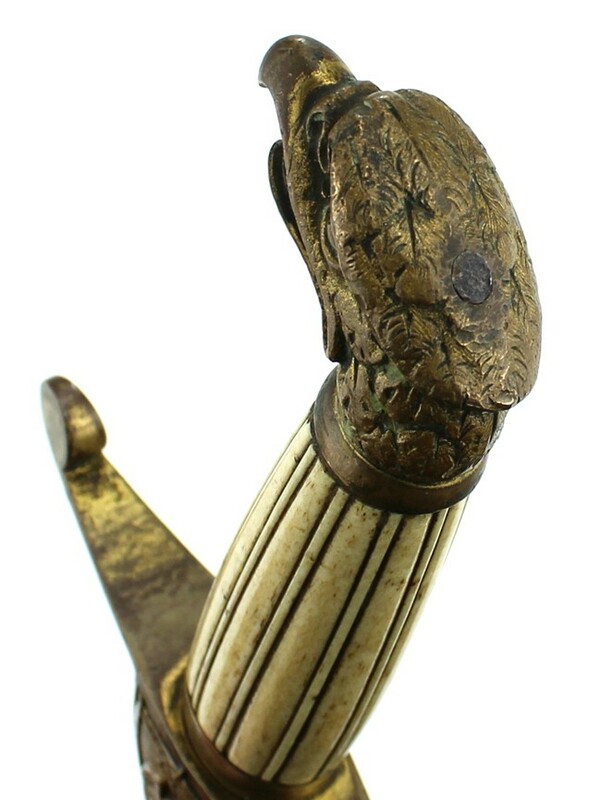 Grip is reeded bone and it has no knucklebow or chain and never did. Obverse langet has the state seal of Louisiana. Obviously commisioned and used by a militia officer from that state. Blade is gray with light etch. Obverse ricasso has N.P Ames Cutler Cabotville in dry needle / foliate / stand of arms - foliate. 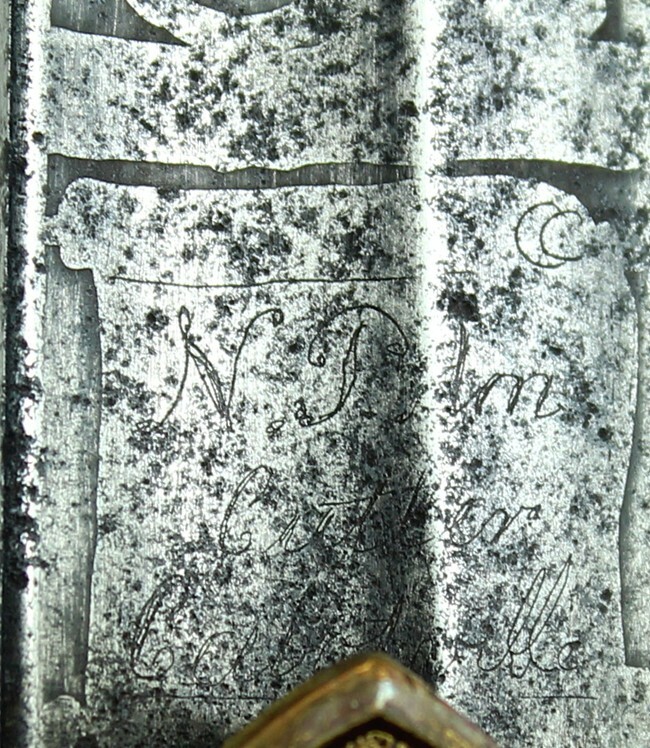 Reverse is etched with foliate / eagle with epu ribbon - rays / foliate. 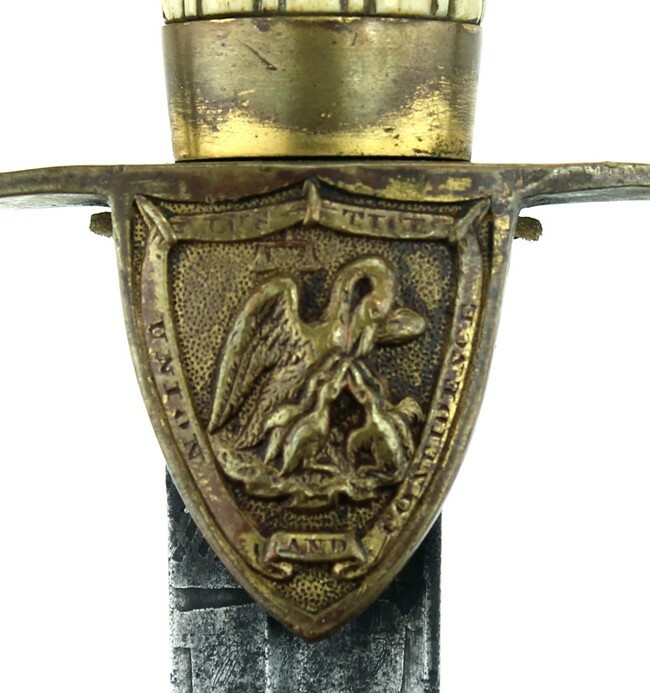 This sword has no scabbard but is a rare find as an Ames eagle head and it's association with the state of Louisana.